Creative people are usually quick to hop on ideas and execute. Following the leading of our creative stirrings and spirit is a fantastic thing, but often times can be fraught with difficulties and legal issues if we do not receive the right counsel that’ll help us do awesome work, be ethical while doing the work and make sure we know how and what to negotiate at every season of our creative walk. A lot of times, we are either lazy, or do not want to be burdened by the legal aspects of our work, but if you are planning on growing as a creative, you’ll notice that this legal aspect cannot be ignored, if not trouble may come harassing you one day and you may be too overwhelmed to know the right thing to do. Getting legal counsel as a Creative can be a daunting task, so we partnered with this really awesome Law Firm, Filament Consulting, led by an amazing woman (of course), Chika Ochonogor to help Creative Women get the right legal counsel they need to soar and apply to their needs. So, if you need legal counsel, you should come through us to them and you’ll get a very reasonable cost + pro bono first meeting. Chika is the Founder and Lead Consultant of Filament Consulting qualified to practise law in Nigeria and the UK. She began her career in the legal department of Unilever UK, where she was Assistant Legal Counsel and worked on advertising and IP matters, as well as regulatory issues pertaining to food, home, and personal care products. Chika Ochonogor then trained and qualified as an IP associate at Edwards Wildman Palmer UK, where she worked mainly on trademarks, copyright, and advertising matters. 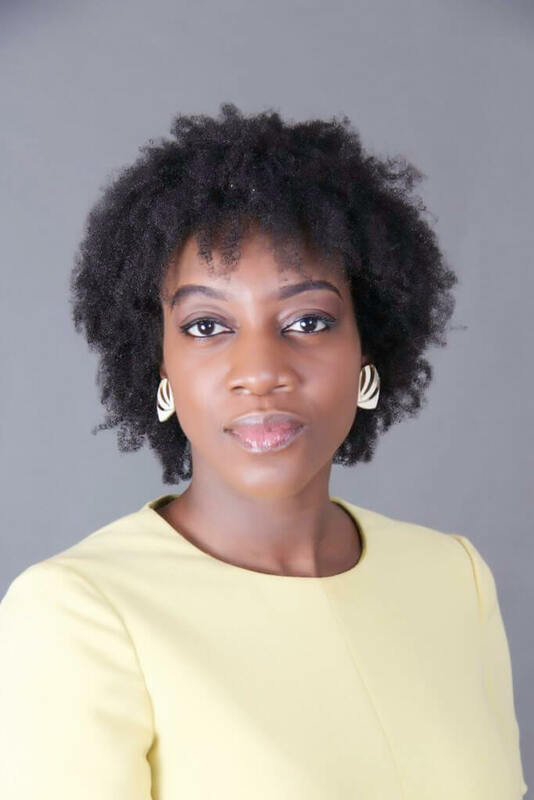 Subsequently, she completed the Nigerian bar exam and, immediately prior to founding Filament, worked at Detail Commercial Solicitors, where she led the technology, IP, and media & entertainment department. Chika has a passion for technology law, Media & Entertainment and aims through Start-IT!, Filament’s pro bono service for startups, to contribute to the development of Nigeria’s technology ecosystem. In this interview, we ask Chika Ochonogor loads of questions about the Legal aspect of a Creative’s journey and why she started Start-IT clinic. For Creative Girls: You seem to have an interesting career journey, that intertwines Law, Creative Proprietary, and Business. Can you share your journey with us and tell us why you started Start-IT! Clinic? I started out my career in-house in the legal department of Unilever UK, doing advertising and intellectual property law. Before that, I had done a couple of internships at law firms and so it was good to be on the business-side. I qualified as an IP associate in a UK law firm called Edwards Wildman before moving back to Nigeria. I was at Detail Commercial Solicitors where I headed the technology & IP department, and now I run a firm called Filament, which focuses on advising technology companies and creatives. On the non-legal side, my sister is a fashion designer. She designs a menswear label U.Mi-1 and I have been involved in the business in various capacities over the years, although less so these days. I actually think my career has been pretty run of the mill aside from this. The Start-IT! Clinic is part of Filament’s Start-IT! programme, which provides pro bono services to creatives and companies in technology. We do not have much of a pro bono culture in the legal services sector in Nigeria, but there are many benefits to it. It is a way of giving to the community by encouraging wider access to legal services. It builds capacity on both sides, and of course, gives an opportunity to let potential clients know what you can do. These are some of the things we intend to do with the Start-IT! Clinic. Explain Patents, how it concerns a creative person and the necessary steps to take. A patent is an intellectual property right which protects inventions. In Nigeria only inventions that are new, result from inventive activity and are capable of industrial application are patentable. If the invention is the same as or obviously follows n from another product or method which is already available to the public, it is not patentable. A patent lasts up to 20 years if the annual maintenance fee is paid. Whether or not a patent is relevant to you as a creative, depends on what you are creating. If you are creating a device for recording music which is new and inventive, or have come up with a new and inventive way of taking photographs, you may be concerned about registering a patent. For more artistic creations, you would be looking at copyright, designs and trade marks to protect your work rather than a patent. Compared to other jurisdictions, Nigeria has a simpler patent registration process. This is because the Patent Registry does not examine patent applications for novelty or inventiveness. This means that if the application has been completed properly and the fee has been paid, the patent may be registered. So, in theory, it is much quicker and cheaper to get a patent registered here. However, since there is no guarantee of the patent’s validity once registered, applicants should satisfy themselves that the invention is new and inventive otherwise they may not be able to enforce the patent. Who owns what a creative produces? Copyright protects literary, artistic and musical works as well as films, broadcasts, and sound recordings. The general rule under copyright law is that the author is the first owner of the copyright in a work. For literary, artistic and musical works, the author is the person who created the work but for film, broadcasts and sound recordings, the author is the person who made the necessary arrangements to make it, and this is usually a producer and/or a director. A singer can perform a song and not own any copyright if they did not write the lyrics, compose the music or produce the sound recording. She will only have rights in her performance. The main exception to the rule of first ownership contracts. If the author of the work agrees that another person will own the copyright in the work once created, then that person will own the work. For designs and inventions, the person who first files the application for registration of the design and patent is the statutory owner, whether or not he is the true designer or true inventor. But the law prevents unscrupulous people from taking advantage of this and running to the Registry to file other people’s inventions and designs. If the essential elements of an application for a design or patent are derived from another person’s creation or invention, the applicant must seek the other person’s consent to make the application. So, who owns what a creative person creates while under an employment. If it is a copyrighted work, the general rule is that the copyright in a work created in the course of one’s employment belongs to the employee, unless her contract of employment states otherwise. However, if you are employed by a newspaper or a publishing house that publishes magazines or periodicals and create a literary, artistic or musical work for the publication, the newspaper or publishing house owns the right to publish and re-publish that work in any newspaper, magazine or periodical, and you retain all other copyright in the work. Designs and inventions created in the course of employment belong to the employer. However, in certain circumstances, the employee may be entitled to additional remuneration for her design or invention. What are the rules for sampling other people’s work like music, or using portions of it? It is quite simple. Do not do sample or use a work without permission from the copyright owner, otherwise, you may be sued for copyright infringement. For music, depending on how you are using it, you will also need a licence from the Copyright Society of Nigeria. Under Nigerian law, we have exceptions which allow for use without the copyright owner’s permission. For example, if your use is private and not commercial, or if you parody a work or use it for the purposes of research, or you are critiquing or reviewing it, you may not need the permission of the copyright owner. However, if your use is public and particularly if it is of a commercial nature, it is preferable not to rely on these exceptions. For certainty, just seek permission. People also think that if they use a small portion of a work, that they do not need permission from the owner but this is not the case. Even copying the headlines of newspaper articles may be copyright infringement. Does a creative have a say in how her work is handled or disseminated? Yes. Like I said, if they own the copyright, then there are certain things that you cannot do with the work without their consent. Even if they do not own the copyright, they may have a say in how their work is used or disseminated, if they retain these rights of control in a contract. Otherwise, there are other neighboring rights which can be enforced. I mentioned performer’s rights earlier. These give performers the right to control the recording, live broadcast, adaptation, and reproduction of their performance. Authors of copyright works also have moral rights, which are the right to be identified as the author of the work, and the right to object to derogatory treatment. Authors have the right to object to the modification of their work where the modification is prejudicial to her reputation. Using content without consent or acknowledgment, what are the legal implications? If you use content without consent, you may find yourself on the wrong end of a copyright infringement claim. The copyright owner may take an injunction out preventing you from using any infringing product or work. This can have serious financial implications for your business if, for example, you are required to recall your products from your wholesalers and retailers. You may also have to pay damages or account for the profits that you have made as a result of the infringement. Using content without an acknowledgment has less serious consequences if you have a licence to use the content. If the author requests that you acknowledge him as the creator of the work, then you should simply comply. Are there available remedies to these breaches and are they readily accessible and effective for the average creative? When a person infringes a work, the owner usually wants two things – that the person stops the acts of infringement, and pay some compensation. The courts provide these remedies but not everyone has the money or appetite for litigation. The easier remedy to obtain is getting the person to stop the act of infringement. If a work is published on a website, writing to the hosting company is an effective way of bringing the page down. Most social media sites have their own internal procedures for taking down infringing material. Some people use social media quite effectively to shame infringers into stopping the infringement. However, one needs to be careful with this because unless you can prove the person actually infringed your work, you may be sued for defamation. If you can afford a lawyer, they may be able to get the infringer to stop using the work and get some compensation for you, without the matter getting to court. Some photographers get a lawyer to write a template letter which they send to infringers requesting their standard fees for use of their photographs and only escalate a matter to their lawyer if the infringer refuses to stop the infringement or pay. So yes, I would say the remedies for infringement are readily accessible for the average creative. But I have found that creatives whose works are infringed are sometimes unreasonable in their demands, asking for ₦50million in damages for a work that they would ordinarily licence for ₦50,000. This can make the person on the other side dig in their heels and resolve to go to court come what may. In your experience, what guidelines should a creative have in place for Partners and Investors? I am not entirely sure what you mean by guidelines but last month I was at the Creative Nigeria Summit organized by the Ministry of Information and Culture and ThinkTank Media last month and the consensus was not many people understand the business models used in the creative industry. Also, potential investors shy away from the industry because of its intangibility. Why would a high net worth individual invest in fashion design, films, gaming when he can invest in land? This is the question that creatives looking to attract investments should answer. They should also have a clear business model which is scalable and shows fairly predictable sources of revenue. Their track record is very important too. Sometimes this is all investors and partners have to hold on to, if the sources of revenue are not predictable. There are other opportunities in the creative industry other than content that investors may be more comfortable investing in. There are not enough cinemas in Nigeria or live music venues. Investors can put money in the development of human capital and know-how. We need more first-class animators in Nigeria. Imagine an Andela for animators or our own Central St. Martins. Festivals and annual events, like AFRIFF and Felabration, may also be good vehicles for investment. So creatives should consider putting forward the investment opportunities in the ecosystem and not just the content. Also, as a creative, to what extent does my relationship/agreement with Investors or Partners affect my creative freedom? Ordinarily, your agreement with investors or partners should not affect your creative freedom. Besides, your investors and partners want to make money and will usually adopt an “if it ain’t broke don’t fix it” position and will not meddle in your creative process provided your product yields returns. That said, you always need to make sure that your product or your actions do not offend the values of your investors. Even if you make them money, there will be certain things that go against their brand promise and values that they simply cannot abide and you must be mindful of that.